Ever wished to live a comfortable life among the greens close to the city? The upcoming projects in Tellapur offer just what home enthusiasts crave for. Luxurious apartments, international standards of amenities and easy transportation facilities await the residents in Tellapur. Located close to Hyderabad, the residential estates being developed by leading real estate groups will simply mesmerise you. Nestled among the greenery, you can always reach out to the city and enjoy the entertainment and other facilities when you move to the villas in Tellapur. This is one of the most prominent residential zones in Hyderabad, developed in the last few decades. A large number of infrastructure projects have been undertaken in the region in recent times. From roadways to transportation facilities, every aspect of the city life has undergone a revolution. 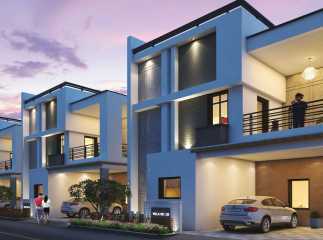 If you are willing to buy a property in Tellapur, it will definitely be a welcome move. The optimal location of the residential zone is one of the reasons for the popularity of the region. A large number of families from different places have already shifted to the completed projects. Besides, a number of residential estates will be thrown open to the homeowners in the next few months. 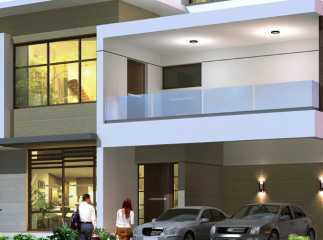 When you acquire one of the apartments in Tellapur, you will get a taste of classy lifestyle. Over the years, the price of property in this region has undergone increment. Evidently, this is the best time for you to get an apartment here. The properties in Tellapur have a number of positive aspects associated with them. Firstly, Hyderabad is one of the most important commercial areas in the country. Fast connectivity between Tellapur and Hyderabad ensures no hassles of transportation. Commuters can easily get across to the commercial zones and move around in the city. Besides, the social infrastructure is well-developed in Tellapur. A number of restaurants, shopping malls, multiplexes and places of entertainment are located close to the area. Residents moving to the flats in Tellapur will enjoy easy access to the educational and healthcare institutes in the region. The schools and universities in the region include Manthan International School, Seeds School, Sancta Maria International School, Samashti International School, Bharatiya Vidya Bhavan's Public School, Epistemo Global School, and the University of Hyderabad. It is wise for investors to buy the plots in Tellapur for commercial purposes and enjoy high returns. The residential estates have a highly-refined infrastructure with tight security and a number of amenities. You can enjoy the mornings, taking care of your health in the gym or swimming pool. Besides, cycling tracks, jogging tracks, and tennis courts are also present within the complex. Apart from this, you can also enjoy various indoor games. For socialisation, you have the clubhouse in the complex. The banquet hall provides an ideal space for meetings and conferences. Children have their play areas to enjoy their time. 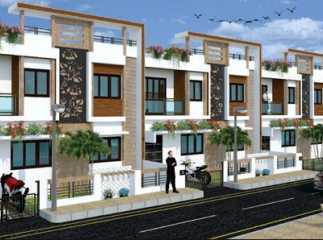 If you are interested in buying property in Tellapur Hyderabad, this is the best time for you. The prices are rising and people from other cities are migrating to the estates. You can get an apartment for personal use too, and enjoy your life among luxury and comfort.